The ESA’s ongoing bipartisan history and continued support from the American public sends a clear message to Congress: Protect the integrity of the ESA. The leading federal agencies responsible for effectively administering the ESA are the U.S. Fish and Wildlife Service and the National Marine Fisheries Service. The divisive climate in Washington makes it risky for even well-intentioned proposals aimed at improving the law, but that doesn’t mean policymakers can’t work together to improve ESA implementation through administrative means. Rather than focusing on legislative changes to the Endangered Species Act, Congress can and should honor the bipartisan history of the ESA by supporting flexible, efficient and cooperative administrative solutions that can improve outcomes for both people and wildlife. Fortunately, western governors and other stakeholders from the agriculture, energy and conservation sectors have already come together through a series of workshops and roundtables to draw up some recommendations. Increase federal-state collaboration by developing templates and tools to incentivize voluntary conservation. Encourage state participation in recovery planning. Encourage the U.S. Fish and Wildlife Service (USFWS) to develop Species Status Assessments to help inform listing decisions and, if needed, a recovery plan blueprint to encourage conservation actions. Implement recovery plans that provide clearer and earlier guidance for recovery, delisting or downlisting. Establish a “playbook” to inform citizens on how to engage throughout various steps of the ESA process. Several of the western governors’ recommendations included possible changes to the USFWS’s budget. For example, there is a recommendation to allocate funds for a specific line item to assist stakeholders in seeking assurance agreements and other voluntary conservation efforts. Boosting funds for incentive programs is a worthwhile pursuit, but it must be part of a budget that meets all other important functions of the ESA, including listing, delisting and recovery efforts. 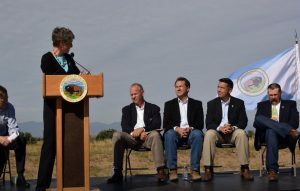 The collaborative conservation effort that led to a “not warranted” listing decision in September 2015 received bipartisan support from western governors. Another set of recommendations that could undermine the ability of the ESA to conserve imperiled species are those that weaken the action-forcing deadlines that have been a part of the law since 1982. Increasing regulatory flexibility around listing timelines with no backstop or accountability would make space for politics to influence or undermine the science of listing decisions, create great uncertainty for stakeholders, and increase the threat of extinction. The leadership that the western governors, particularly Wyoming Governor Matt Mead, have shown in bringing together multiple and diverse stakeholders to the table to discuss ways to improve conservation efforts through the ESA is praiseworthy and should be continued into the future. There is certainly opportunity for more innovation and cooperation with regard to the way that we manage wildlife in America. We just have to ensure that the core of the ESA is not only maintained but strengthened so that future generations can enjoy our nation’s treasured wildlife and wild places for many years to come. This entry was posted in ecosystems, Wildlife Protection and tagged bald eagle, Congress, Endangered Species Act, endangered species act success stories, governor mead, sage grouse, U.S. Fish and Wildlife Service, western governors, western governors association. Bookmark the permalink. Both comments and trackbacks are currently closed. We need to save the endangered species act. Species are dying and if we don’t do anything now – they will be lost. The time to act is now ! Save the ” Endangered Species Act ” do the right thing for the animals , generations to come and , the future our planet. We want our children, grand children, and future generations to enjoy observing the wild life. I have studied this Act extensively. 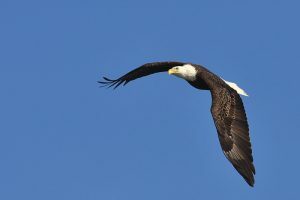 It has saved so many species,including our bald eagle. Save our world! Get it, plain and simple! Be responsible…you power not where you are to tear the country up, but to protect and build it up!!!! We all share this environment. We need to protect the environment for long-term survival of all species, ourselves included. Leave the EPA alone. Trump & company are destroying our environment. I want my grandchildren and there children and future generations to enjoy and see what beauty there is.